The first major accident involves someone who Tesla considered a pillar to the EV community, Joshua Brown. Brown was, in fact, an avid EV and Tesla supporter. 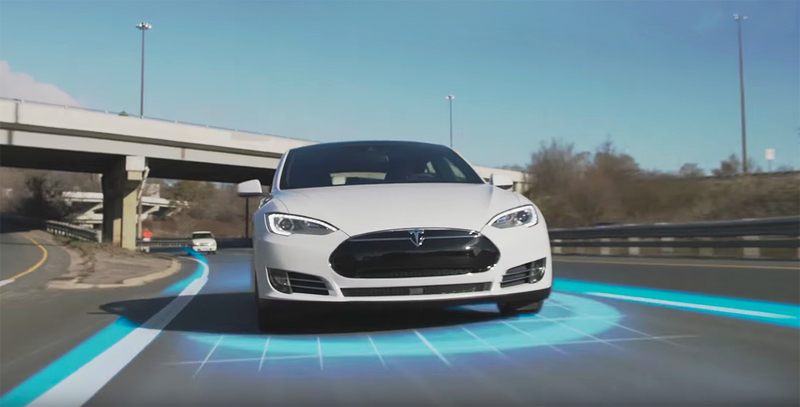 When the "Autopilot" Beta (and technically, the software is still in beta test) went live, Brown began filming videos of his Model S using the "Autopilot" features while he did other things. Brown wanted to prove that the technology worked, and based on his videos, the technology did seem to work well. In May of this year though, Brown's luck ran out when his Model S plowed into the side of a tractor trailer trying to cross the highway, tearing the roof off of his Model S causing it to plow into a telephone poll. Tragically, Brown lost his life in this accident. The driver of the tractor claims that upon checking on Brown, he heard a Harry Potter movie coming from the car. Upon further investigation by authorities, they did indeed find a portable DVD player and a laptop in the vehicle, however, there was no indication that either of them were on. The second major accident involved Albert Scaglione, a very well known and prolific art dealer. Scaglione claims that his Model X, with "Autopilot" engaged rolled and crashed on the Pennsylvania Turnpike. The vehicle allegedly hit a guardrail around mile marker 160, swung across the highway, hit a concrete barrier, and rolled. Scaglione survived and there was no mention of any injuries to Scalione himself or his passenger. A few days later, after Tesla had gotten hold of Scaglione's Model X's on-board data, CEO Elon Musk claimed that the data shows "Autopilot" was not engaged at the time of the accident. Was Scaglione just trying to use "Autopilot" as a scapegoat, or did the system deactivate due to unforeseen circumstances, and Scaglione simply was not paying attention? Before I continue, you'll notice that I continue to refer to "Autopilot" in quotes. This is because the system really should not be referred to as "Autopilot." To the general public that knows nothing of aviation, they assume autopilot allows for a pilot or driver to just turn the system on and go about doing other things. This is completely, one hundred percent incorrect. Autopilot, especially in aircraft, are mainly designed to reduce pilot fatigue, by letting the vehicle's computer maintain speed and bearing. The pilot still needs to be completely aware of his or her surroundings. Unfortunately, most people do not seem to understand this, and the videos people are posting on YouTube of themselves doing anything but paying attention to the road continues to perpetuate the false idea that Autopilot turns your vehicle into an autonomous vehicle. I admit that I too use the Active Cruise Control and Lane Keep Assist features in my new car, but even I know the system is not perfect, and requires me to keep an eye out for anything that may happen on the road. While semi-autonomous features are great, and do serve to help reduce driver fatigue, it needs to not be advertised using phrases that make people think the system is fully autonomous. If Tesla wants to continue using the term "Autopilot" in a way that makes people believe the car can become full autonomous, they had better develop the software so the car can do just that. A fully autonomous vehicle will take the inattentive drive out of the equation, thus avoiding accidents and deaths. If you are going to sell a vehicle with a semi-autonomous driving feature, make sure the buyer of the vehicle understands that they must continue to pay attention to the road. Even better, make sure the buyer is not allowed to leave the lot with the vehicle until they pass a short certification course for the semi-autonomous system. The last thing we need on the road these days are more idiots thinking their cars will drive themselves and doing idiotic things like playing Pokémon Go instead of paying attention.